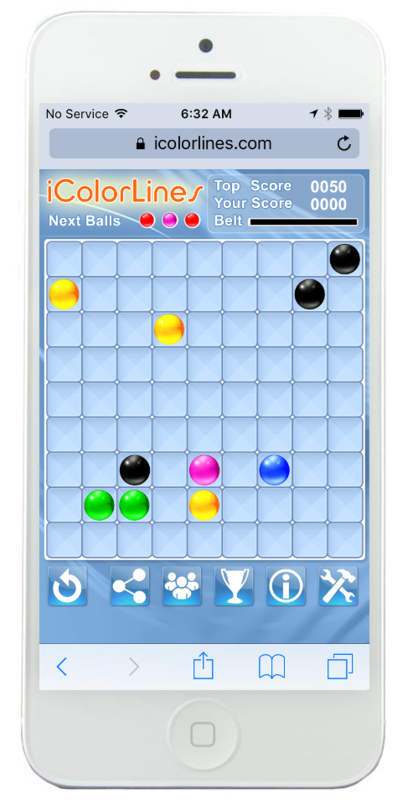 iColorLines online puzzle game works perfectly on iPhone or iPad. Just open Safari, and type icolorlines.com in the address bar. 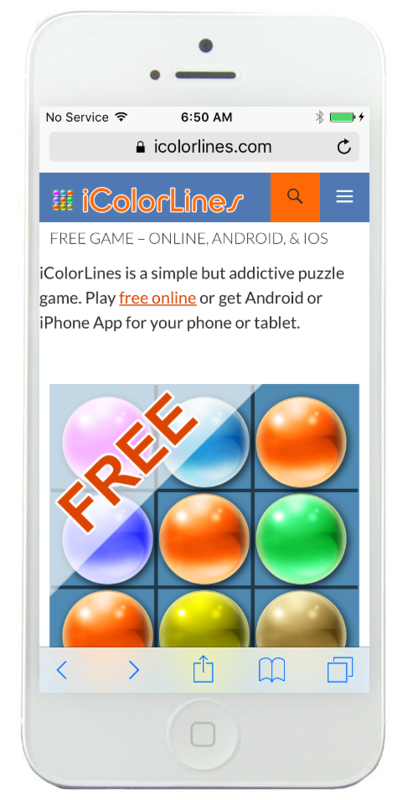 Click on “play free online” link or iColorLines icon to start a new game. iPad gives you not only a game view but the entire portal, so you see who is currently playing online, chat with friends and see other player activities. 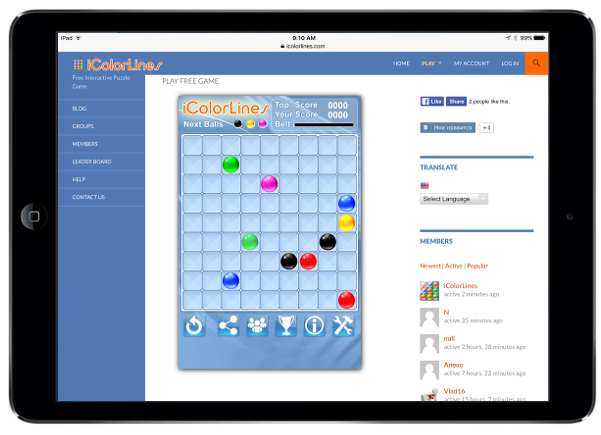 Please visit iColorLines FAQs section for help, game rules and strategy.